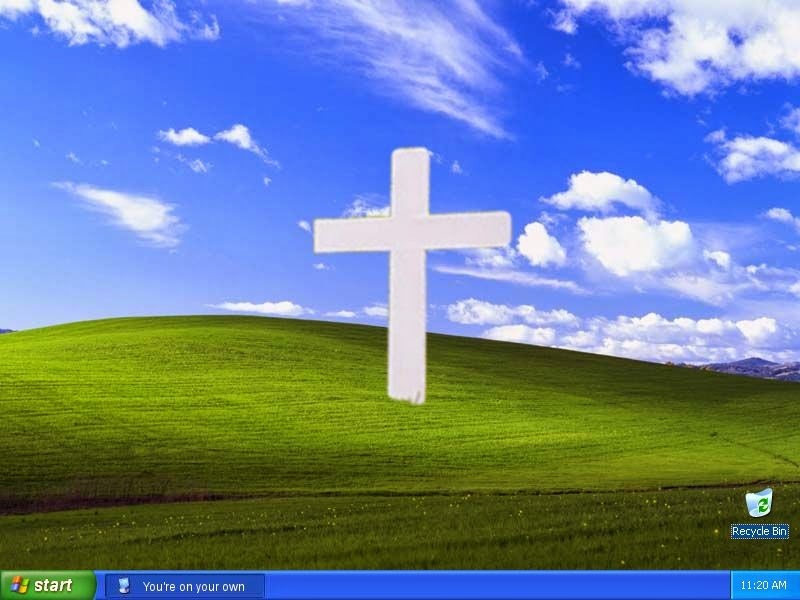 I don't usually do the computer related posts, that is +Brad Naylor's field of expertise, but since I am the only STP writer actively using Windows XP, then I am, by default, the resident expert. In reality, the fact that Microsoft will no longer be supporting Windows XP does not mean that it will cease functioning. It will still operate as slowly as it did before, but Microsoft will not be generating updates to keep your computer up to date. This may leave computers between 8 and 10 years old vulnerable to attack from hackers although there probably isn't anything worth hacking on machines still running XP. 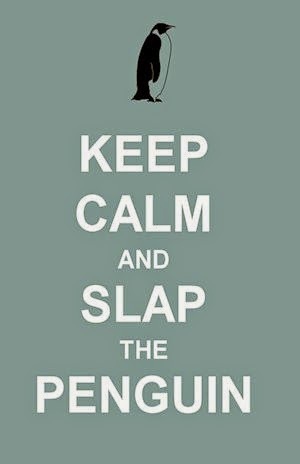 Or is there...? 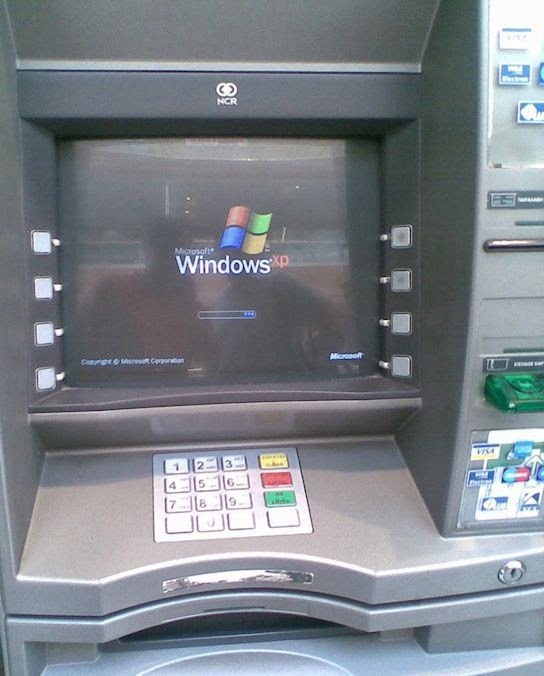 Some tech groups suggest that around 95% of ATM (cash machines) run on Windows XP and to date, no provision has been made to change this. Does this mean that our bank accounts are in jeopardy? Not necessarily, but a hacked ATM may put our personal details at risk. 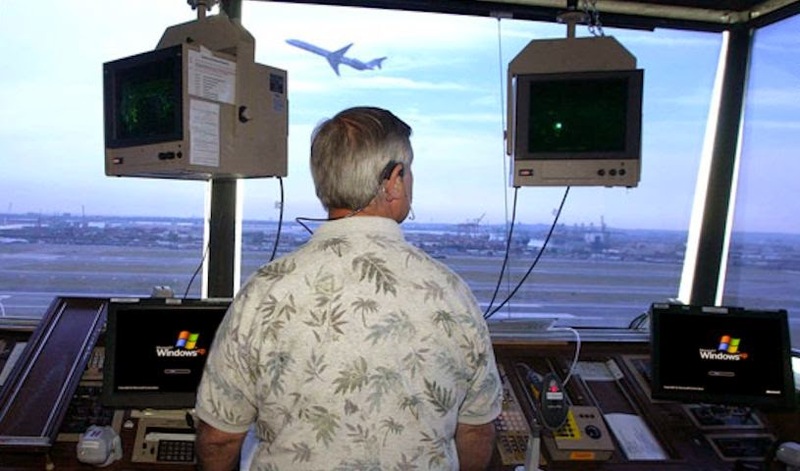 Many Air Traffic Control towers are powered by XP and operated by guys in tasteless polo shirts. 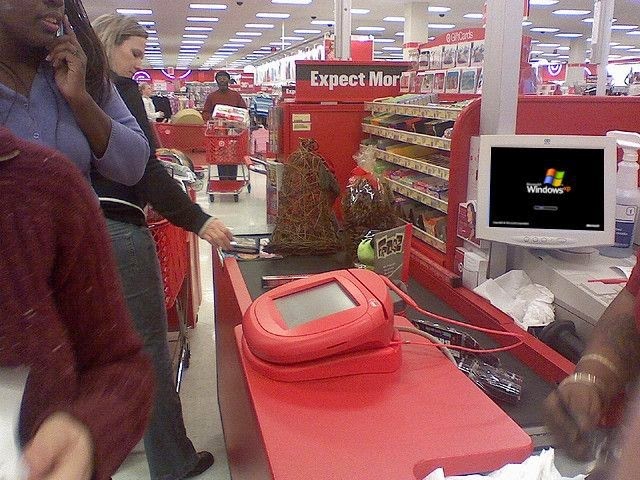 Even Target are running the almost outdated Windows XP, which could leave them vulnerable to possible attack after April 8th, when support and updates are frozen. Is this enough evidence for Microsoft to reconsider their April 8th deadline? Should these businesses get off their asses and get around to upgrading sometime in the next week to protect us from malicious attacks? Are you, like me, still running Windows XP and wondering what your next step is? Share your thoughts below before my computer is obsolete and and I am unable to read them.